Hello. here's my proposal with the modifications. It was eliminated "Energy" as you requested, and being so cleaner. 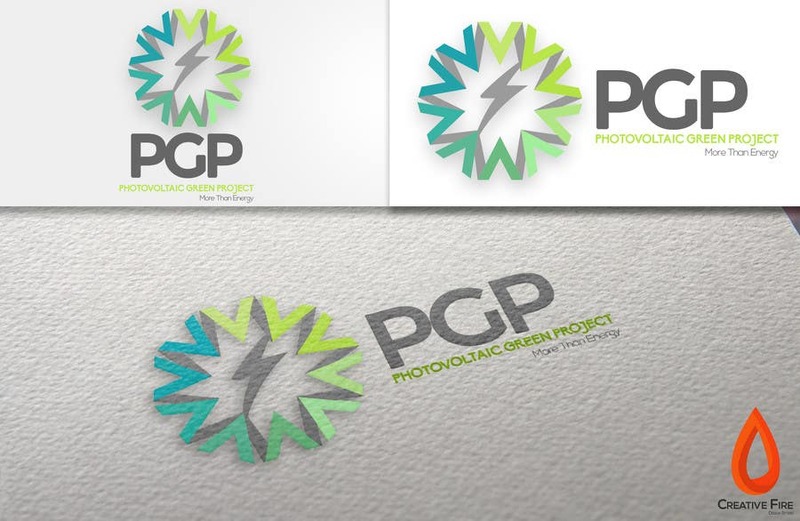 adjusting to perfection "PGP and PHOTOVOLTAIC GREEN PROJECT" as a single element. The logo can be separated to perfection in its 2 elements, giving more uses. please feedback. and check all the images.